HR strategy is so much more than a task on your never-ending checklist, it’s literally a matter of life and death for your company. Too dramatic sounding for you? Well, that’s precisely the reason why HR professionals aren’t taken seriously, and I’m going to prove that to you. It’s also the reason why you probably hear the phrase “HR strategy” repeated over and over again in your nightmares. The Conference Board put out a press release at the beginning of this year, stating that human capital challenges and anxiety about quality hires is at the forefront of their issues. You see, HR strategy isn’t simply another trendy buzz word that holds no value. HR strategy in its purest form is about understanding who your company is, what they desire most to meet their goals, and finding the right talent to carry your company’s success into the future. The first step to evolving your HR strategy is to accept that it’s not where you want it to be right now. 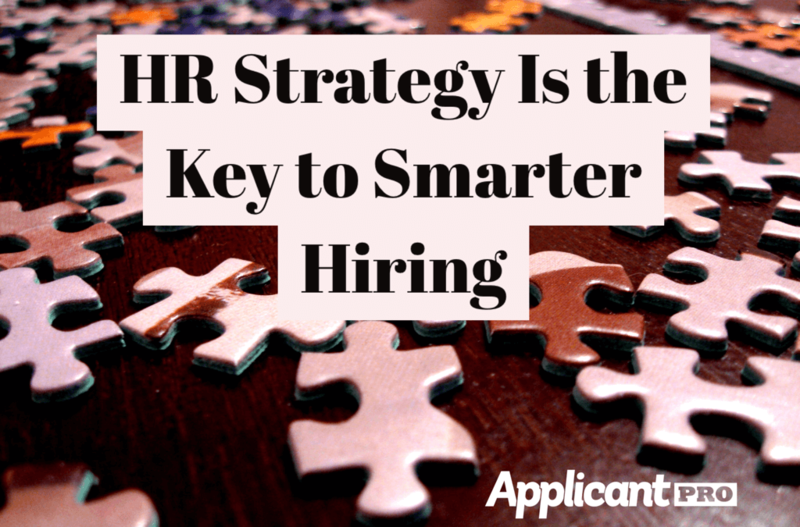 If you have any doubts about how you or more specifically, HR strategy impacts your organization, then look no further than this article. As Dr. Sullivan cleverly notes, it may seem like a prestigious gift for HR to be at the vanguard of organizational leaders’ attention when in reality, it should feel more like a slap in the face because it means that your hiring and thus your HR strategy is failing. Most HR professionals are responsible for recruiting and hiring employees that will drive the company forward, and if this need isn’t met, it causes business leaders to fear for the safety of the company. Take responsibility for your HR strategy role. The first step to evolving your HR strategy is to accept that it’s not where you want it to be right now. HR professionals by and large tend to be risk averse (which makes for great compliance managers), but it can also cause them to feel insecure about areas that may need improvement and also cause fear about asking for help. If this is something you can relate to, I challenge you to speak up. You don’t have to openly admit that you have no idea what your managers expect of you or what your CEO values most right now, you simply have to accept where you are and ask questions, so that you can improve your HR strategy to better align with the overall goals of your organization. Metrics should rule your HR strategy. HR strategy that involves making choices based on “gut instincts” isn’t really a strategy. This is an easy decision trap to find yourself in because if you haven’t developed a method for managing data, or feel more comfortable making decisions that are based primarily on your emotions, then developing an HR strategy with research and metrics leading the charge can feel very overwhelming. I’ve written at length about the subject of metrics and HR, so I’m not going to go into too much detail. The key is to understand strategy at its primal level and then build up from there. HR strategy includes what happens after the hire is made. One of the most frustrating components of the hiring process is knowing that you’re accountable for what happens after you’ve spent the time to massage and tweak your HR strategy, attract and hire quality applicants, and then get nailed on turnover because there’s a managerial disconnect. Instead of simply bearing the brunt of low retention, suggest to your executive team that you set manager benchmarks and include those in the managers’ performance review. This helps to ease some of the weight on your shoulders and also helps you better align your HR strategy with your company’s goals. Feeling like your HR strategy is letting the company down? Let our hiring experts help! We’ve helped thousands of HR professionals claim their rightful seat at the table by making small data-driven changes. Let’s chat about how we can do the same for you!